A look at how DP systems work and their importance to ships, vessels and rigs working on offshore O&G operations. The main contribution Kongsberg has made to the offshore O&G industry was by developing DP systems for diving support vessels in the 1970s. 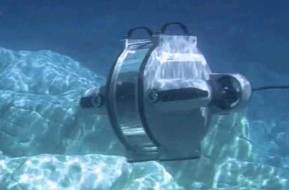 This significantly increased the efficiency and safety of diving operations. Since then, the offshore and maritime industries have benefited from the advances made to their DP systems. In more recent years these advances have been applied to the cruise industry with dynamic positioning systems for maneuvering and the complex task of precise position keeping. For optimal deepwater drilling the Kongsberg Riser Management System (RMS) assists in all phases of the drilling operation. From the planning of riser make up through drilling in changing and hazardous environmental conditions, the RMS ensures safe and efficient operation through extensive monitoring and supervisory features. Optimal vessel positioning during drilling operation is enabled by taking into account riser angles, tension and the specific riser characteristics. To ensure a well planned riser deployment, a powerful and easy to use riser simulator is available for validation of the planned operation. accurate positioning and navigation regardless of operational area. They provide satellite based systems utilizing ground infrastructure that include a complete range for dynamic positioning, hydrographic surveys, and seabed mapping with accuracy, reliability, integrity and redundancy as required by the operational scenarios. Advanced motion sensor technology contributes to enhanced security offshore as well as giving optimal correction input for seabed mapping and hydrographic survey applications. system employs a control strategy that uses the smallest possible thrust vector, and thus power, to keep the vessel inside user defined boundaries and the working and operational area, as opposed to "bulls-eye" station keeping. This control strategy represents a leap in the technological development of DP systems and studies of deepwater drilling operations have shown that a fuel reduction of about 20% is highly realistic. A system which automatically controls a vessel's position and heading, exclusively by means of active thrust. The above definition includes remaining at a fixed location, but also precision maneuvering, tracking and other specialist positioning abilities. The prime function of a DP system is to allow a vessel to maintain position and heading. A variety of further sub-functions may be available, such as track-follow, or weathervane modes, but the control of position and heading is fundamental. Any vessel (or other object) has six freedoms of movement; three rotations and three translations. In a vessel they can be illustrated as roll, pitch, yaw, surge, sway and heave. Dynamic positioning is concerned with the automatic control of surge, sway and yaw. Surge and sway, of course, comprise the position of the vessel, while yaw is defined by the vessel heading. Both of these are controlled about desired or "setpoint" values input by the operator, i.e. position setpoint, and heading setpoint. Position and heading must be measured in order to obtain the error from the required value. Position is measured by one or more of a range of position references, while heading information is provided from one or more gyrocompasses. The difference between the setpoint and the feedback is the error or offset, and the DP system operates to minimize these errors. The vessel must be able to control position and heading within acceptable limits in the face of a variety of external forces. If these forces are measured directly, the control computers can apply immediate compensation. A good example of this is compensation for wind forces, where a continuous measurement is available from wind sensors. Other examples include plough cable tension in a vessel laying cable, and fire monitor forces in a vessel engaged in firefighting. In these cases, forces are generated which, if unknown, would disturb the station keeping if unknown. Sensors connected to the cable tensioners, and the fire monitors allow direct feedback of these "external" forces to the DP control system and allow compensation to be ordered from the thruster before an excursion develops. In addition to maintaining station and heading, DP may be used to achieve automatic change of position or heading, or both. The DP operator (DPO) may choose a new position using the control console facilities. The DPO may also choose the speed at which he wants the vessel to move. Similarly, the operator may input a new heading. The vessel will rotate to the new heading at the selected rate-of-turn, while maintaining station. Simultaneous automatic changes of position and heading are possible. Some DP vessels, such as dredgers, pipelay barges and cable lay vessels have a need to follow a pre-determined track. Others need to be able to weathervane about a specified spot. This is the mode used by shuttle tankers loading from an offshore loading terminal. Other vessels follow a moving target, such as a submersible vehicle (ROV), or a seabed vehicle. In these cases the vessel's position reference is the vehicle rather than a designated fixed location.